Just Your Shade: Cheap Solar Paint = Energy Revolution? The big solar panels we see on so many homes and businesses may provide some measure of energy benefit to the people inside, but they are not nearly as efficient as you might think: their typical efficiency factor is about 10 to 15 percent. Researchers at the University of Notre Dame in Indiana have been working on developing a more efficient, affordable solar power generating solution. 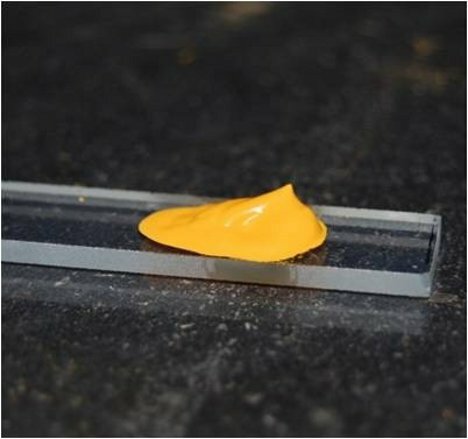 They may have found it in a newly-developed “solar paint” that can be produced cheaply and in large quantities, and which could one day be used to turn entire buildings into huge energy generators. The “paint” has been somewhat adorably dubbed Sun-Believable by the research team. It was made by coating nanoparticles of titanium dioxide with cadmium sulfate or cadmium selenide, both of which are known to absorb photons. 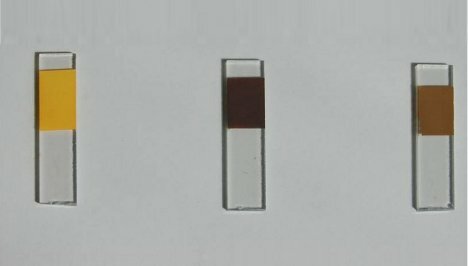 After suspending the particles in a water-alcohol mixture and brushing it onto a transparent conducting material, the researchers exposed the setup to light. Et voila, the “solar paint” was able to generate a tiny bit of electricity. Its effectiveness at the moment is only around one percent, but the researchers seem confident that they’ll be able to boost that number significantly through further study. Who knows – maybe in a few years we’ll be able to power our homes (at least partially) just by painting their exteriors.